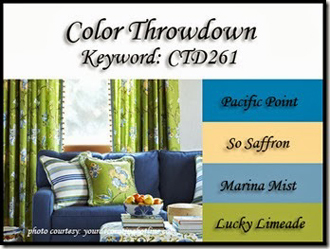 Color Throwdown Challenge #260 Off the Grid, Again! That is so gorgeous! What a beautiful combo of colors. This is beautiful, Susan! I LOVE the delicate blue flowers! Thanks for adding your fabulous designs to our line up this month! This is stunning, Susan! Had to pin it! Love that you used the grid stamp with the florals! The BG you created is amazing! Thanks so much for sharing your talents with us this month! Hope to see you in the gallery again! Oh this is gorgeous!! I love the flowers with the grid! And such great choices for the colors! That floral arrangement is stunning, Susan! Beautiful job with the flowers, background and embellishments! It was great to have you join us this month! WOWZA!!! This is absolutely gorgeous, Susan!!!! I love, love, love how you stamped the flowers over the grid background and the scalloped embossing at the top is such a pretty detail!!!! Thank you sooo much for guesting with us this month…it was such a pleasure seeing your beautiful creations in the CTD gallery each week!!!!! Way to rock those stamps together in one FABULOUS creation! 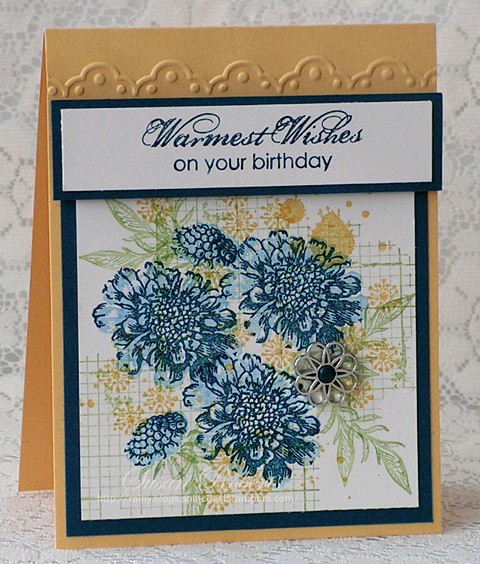 I just adore this card with those blue flowers!! It’s gorgeous!!! 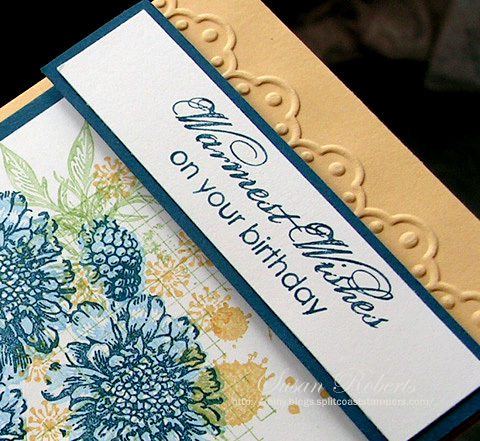 Oh wow such pretty stamping and love that embossed border with your sentiment, the brad is a neat touch to add to your stamping! Oh, my gosh, I saw this on Pinterest last night and thought it was so gorgeous! Didn’t even realize it was your card. You’ve done wonders with this stamp set (which has been on my wish list). Amazingly beautiful, Susan! Lovely Susan! Just had to Pin-It! I just got that cool new background stamp Off the Grid! It looks neat behind your Field Flowers! Hi Susan, I love, love this card. The colors are perfect and the background is very cool. Have a wonderful weekend. Wow. Stunning work. The stamping is exquisite! 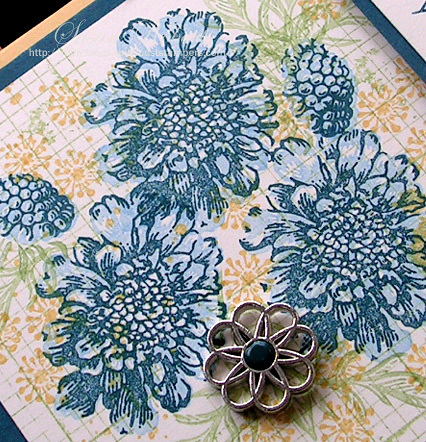 Just LOVE the combination of stamps you used to create the background pattern and the flowers. Beautiful use of the color challenge! Thanks for playing with us this month! Thank you so much for sharing it on your blog! Beautiful! Love how you combined the different stamps to create your image panel. Thanks for joining us this month at the Color Throwdown–we’ve loved seeing your creations every week! Love the wonderful brad, it brings some great dimension in your card! Absolutely stunning, Susan! What gorgeous colors. Love your design and wonderful combination of stamps. This is gorgeous, Susan! Your stamping is beautiful and has created so much depth. Love the colors too!